In Greek mythology, the Hyperboreans were a race who inhabited the northern portion of the earth, beyond the great mountains whose caverns were thought to send forth the blasts of the north wind that chilled the people of Hellas. The Hyperboreans were especially favoured by the god of light, Apollo, whose mother Leto had been born amongst them. For three months of each year, it was said, Apollo would leave Delphi and join these northerners, travelling through the sky in a chariot drawn by swans. From the legend, Arild Andersen notes, it is clear enough that the ancient Greeks had an inkling of Scandinavia’s midnight sun, easily attributable to a season in the company of the light-god. Apollo was also the deity most closely associated with music and musicians. A lyre-player himself, it seems logical to assume he would have conferred the benefits of lyricism upon his friends of the north. Most of the music on Hyberborean, the album, derives from a work originally commissioned by the Norwegian Molde Festival in 1995. Having been asked to write an extended work or suite of tunes, Andersen began to think about instrumentation not yet employed in the course of his long and varied career. Strings – other than those of his own bass – had been conspicuous by their absence in his music. He toyed briefly with the idea of engaging Mike Gibbs to orchestrate his work then settled down to do his own string writing for a scaled-down unit incorporating a string quartet. In so doing he also called upon the expertise of his pianist on the Molde project, Kenneth Knudsen, who has a reputation as both a jazz composer/arranger and writer of film music. Where the Molde string players had been freelancers, Eicher brought in the Cikada Quartet, a homogeneous string quartet specializing in contemporary music. The Cikada Quartet is a splinter group of the Cikada Ensemble which was formed in 1989 and which has played, to enthusiastic press notices, at the ISCM World Music Days in Norway, Mexico and Germany and at the Oslo Ultima New Music Festival and toured widely. As an autonomous unit in its own right, the Cikada String Quartet has recorded several albums, the most recent being Black Angels, titled after the George Crumb composition of the same name. Tore Brunborg and Bendik Hofseth are distinctly «Nordic» saxophonists, both of whom have a history with Andersen but who had never played together until the bassist proposed this project. 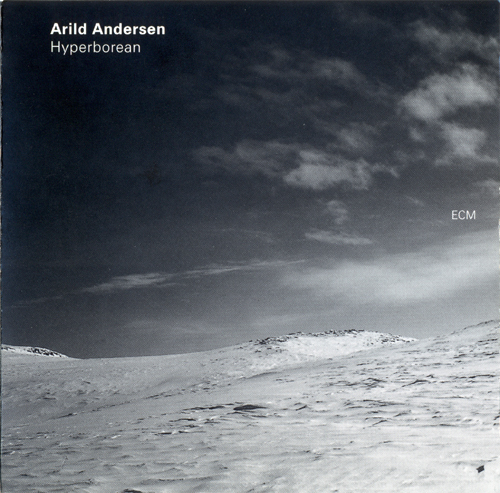 In constrasting their different playing approaches, Andersen hopes to put an end to the central European critical laziness that automatically perceives every Norwegian sax player as a Garbarek epigon. Brunborg worked for many years in Masqualero, the jazz band co-led by Andersen and drummer Jon Christensen, whose recorded legacy includes three albums on ECM – Band à Part, Aero and Re-Enter. Brunborg also appears on ECM recordings with Jon Balke’s Oslo 13 and Magnetic North Orchestra (respectively, Nonsentration and Further) and, more recently, with Ukrainian pianist Misha Alperin’s North Story group. Hofseth, meanwhile, has been Andersen’s partner in his explorations of Norwegian folklore beginning with the Sagn album of 1990. Drummer Paolo Vinaccia came into Andersen’s «folk» group in 1993, replacing original percussionist Nana Vasconcelos. An Italian drummer based in Oslo since the mid-70s, he has previously appeared on ECM recordings with Terje Rypdal, his cameo on Q.E.D. followed by his central role on Skywards, a record on which he shared double-drumming duties with Jon Christensen. Kenneth Knudsen, a friend of Andersen’s since the 1960s, was originally inspired by the playing of McCoy Tyner. In the early 70s, the Danish pianist was one of the first of his countrymen to explore the quasi-orchestral potential of synthesized sound and is valued as both a colourist and soloist. His many recording credits include work with Miles Davis on Aura. He has recorded, and toured extensively, with Palle Mikkelborg’s trio Heart To Heart, which also features bassist Niels-Henning Orsted-Pedersen. Knudsen contributes the string arrangement to «Duke Vinaccia» on the present disc.